General Hospital (GH) spoilers reveal that viewers are always eager to see fan favorites back on screen again. We grow to love these characters, so it’s heartbreaking when we have to say goodbye. Fortunately, soaps often leave us with hope. Dead characters aren’t always gone forever and the ones who remain alive are even easier to bring back into the fold. There’s one fan fave that GH watchers would love to see again. 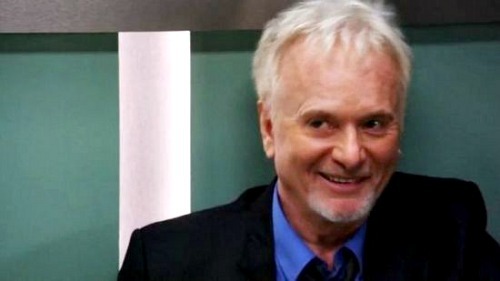 Of course, we’re talking about Anthony Geary (Luke Spencer). Luke left Port Charles in July of 2015, but he made a brief popup for Jane Elliot’s exit as Tracy Quartermaine in May of 2017. However, GH fans only got a brief glimpse of Luke. Everyone was left wanting more, so we’re all hoping for another return at some point. Could Luke make a comeback sooner or later? In an interview with Soaps in Depth, Geary discussed the possibility. He admitted that he’s loving life away from show business, but he’s definitely not shutting down the idea of rejoining GH. Geary expressed a desire to give fans what they want, so Luke could show up again one day. This is great news for General Hospital viewers, who undoubtedly love the sound of that. Geary obviously can’t guarantee he’ll ever return, but the fact that he’s open to it is a positive sign. Some actors completely leave the show and never look back. We always appreciate the ones who are willing to reprise their roles or at least consider it. Geary insisted that he would “never say never” and added that he’d like to do “whatever makes people happy.” It’s safe to say a Port Charles comeback would indeed make people happy! Geary doesn’t need the money, so he suggested any work he does now will be for art or as a favor. That means GH needs to come up with a sizzling storyline and hopefully lure Geary back. If the story intrigues him enough, maybe Geary will get on board and bring Luke home. Would you like to see Luke in PC again? General Hospital spoilers say some excitement’s looming over the next few months, so it’d be fantastic to see some Luke setups come out of that. We’ll give you updates as other GH details emerge. Stick with the ABC soap and don’t forget to check CDL often for the latest General Hospital spoilers, updates and news.